Learn how to build an Uber Splash Screen that uses animations to go beyond the typical static launch screen and keeps users interested while the app loads. Update 9/26/16: This tutorial has been updated for Xcode 8 and Swift 3. Oh, the wonderful splash screen—a chance for developers to go wild with fun animations as the app frantically pings API endpoints for critical data needed to function. The splash screen (not to be confused with the static, animation-free launch screen) can play an important role in an app: keeping the user interested while waiting for the app to start. While there are many splash screens out there, you’d be hard pressed to find one as beautiful as Uber’s. In the first quarter of 2016, Uber released a major rebranding strategy led by its CEO. One of the results of this rebranding was a very cool splash screen. This tutorial aims to replicate Uber’s animation to a very close approximation. It makes heavy use of CALayers and CAAnimations, as well as their subclassed counterparts. Rather than introducing the concepts found in these classes, this tutorial will focus more on using these classes in a production-quality animation. To learn the concepts behind these animations, check out Marin Todorov’s Intermediate iOS Animation video series. Since there are a significant number of animations to implement in this tutorial, you’ll start with a project that already has the CALayers created for all the lovely animations to come. Download the starter project here. 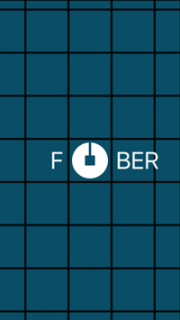 Open and run the starter Fuber project and take a look. From a UIViewController standpoint, the app launches SplashViewController from its parent view controller, RootContainerViewController, which has the power to transition out child UIViewControllers. It loops through the splash screen animations until the app is ready to launch. This could happen when there is a handshake success to an API endpoint and the app has the necessary data to continue. It’s worth mentioning that in this sample project, the splash screen lives in its own module. There are two methods implemented in RootContainerViewController: showSplashViewController() and showSplashViewControllerNoPing(). For the majority of this tutorial, you will call showSplashViewControllerNoPing() which only loops through the animations, so that you can focus on animating the subviews in SplashViewController and later on you will use showSplashViewController() to simulate an API delay then transition to the main controller. SplashViewController‘s view contains two subviews. The first subview consists of the “ripple grid” background known as the TileGridView, which contains a grid-like layout of subview instances called TileView. The other subview consists of the animating ‘U’ icon, known as the AnimatedULogoView. circleLayer represents the circular white background for the ‘U’. lineLayer is the straight line that goes from the middle of the circleLayer layout to its outer edge. squareLayer is the square that lies in the center of the circleLayer layer. maskLayer is used as a mask for the view. It is used to collapse all the other layers in one easy animation when its bounds are changed through animation. Combined, these CAShaperLayers create the Fuber ‘U’. Now that you know how these layers are composed, it’s time to generate the animations to make the AnimatedULogoView animatable. By default and if you provide 0 as the startAngle, arc bezier paths start from the right (3 o’clock position). By providing -M_PI_2 which is -90 degrees, you start from the top and the endAngle would be 270 degrees or 3*M_PI_2 which again is the top of the circle. Also pay attention that because you want to animate the stroke, you are using the radius value as the lineWidth. The circleLayer animation needs to be comprised of three CAAnimations: a CAKeyframeAnimation animating a strokeEnd, a CABasicAnimation animating a transform and a CAAnimationGroup used to wrap the two together. You’ll create these animations one at a time. By providing 0.0 and 1.0 as the animation values you instruct the Core Animation framework to start from the startAngle and stroke the circle to the endAngle, creating the cool “clock-like” animation. So as the value of strokeEnd increases, the length of the line segment along the circumference increases, and the circle is gradually “filled in”. For this particular example, if you were to change the values property to [0.0, 0.5], only half of the circle would be drawn because the strokeEnd would only reach half-way around the circle’s circumference during the animation. This animation performs both a scale transform and a rotational transform about the z-axis. This results in the circleLayer layer growing while rotating clockwise by 45 degrees. This rotation is important because it needs to match the position and speed of the lineLayer when it’s being animated along with the rest of the layers. Finally, add a CAAnimationGroup to the bottom of animateCircleLayer(). This animation encapsulates the previous two animations, so that you only need to add one animation to the circleLayer layer. This CAAnimationGroup has two notable properties being modified: beginTime and timeOffset. If you are unfamiliar with either one, a great description of these properties and how they’re used can be found here. This groupAnimation‘s beginTime is being set in reference to the timing of its parent view. The timeOffset is needed because the animation actually starts halfway through on its first run. When you have more animations completed, try changing the value of startTimeOffset and observe the visual differences. Add the groupAnimation to circleLayer, then build and run the application to see what it looks like. Note: Try removing either the strokeEndAnimation or transformAnimation in the groupAnimation.animations array to really get an idea of what each animation does. Try to experiment like this for each animation you create in this tutorial. You’ll be surprised how different combinations of animations can produce unique visuals you would never have anticipated. This animation is responsible for increasing then decreasing the lineLayer‘s width. Much like the circleLayer transform animation, here you’re defining a clockwise rotation about the z-axis. For the line, however, you’re also performing a 25% scale transform, quickly followed by an identity transform before a final scale to 15% of its original size. Build and run, and observe the prettiness. Note that you used the same -M_PI_4 initial transform value to align the line and the stroke of the circle. You also used [0.0, 1.0-kAnimationDurationDelay/kAnimationDuration, 1.0] for keyTimes. The first and last elements of the array are obvious: 0 means start and 1.0 means end so to get the middle value you want to calculate when the circle stroke is complete and the second part (shrinking) will happen. Dividing kAnimationDurationDelay by kAnimationDuration gets you to the exact percentage but because it’s a delayed animation, you subtract it from 1.0 because you want to go back by the duration of the delay from when the animation ends. You’ve now checked off the circleLayer and the lineLayer animations, so it’s time to move on to the square in the center. This particular animation changes the CALayer‘s bounds. A keyframe animation is created that goes from two-thirds the length, to the full length, then to zero. Take note of the fillMode property. Since the beginTime is non-zero, the animation will clamp both the starting and ending CGColors to the animation. This results in no flickering from the animations when added to the parent CAAnimationGroup. Build and run to check your progress. You’ve now taken care of the squareLayer. Time to combine the animations and see this animation come together! Note: Remember that animations on the simulator could be a bit jagged since your computer is emulating work typically done on the GPU of your iOS device. If your computer can’t keep up with the animations, try switching to a simulator with a smaller screen or develop on an actual iOS device. First, uncomment all the layers being added in init(frame:) and uncomment all the animations in startAnimating(). 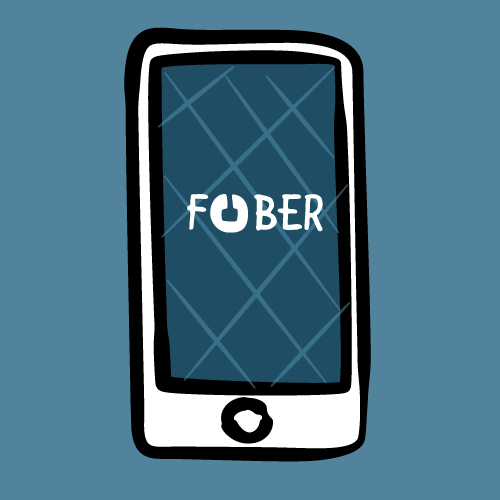 With all the animations put together, build and run Fuber. Still looks a bit off, doesn’t it? There’s a sudden jump in the bounds when the circleLayer collapses in size. Fortunately, the mask animation will fix that, shrinking the sublayers all in one smooth go. This is the animation for the bounds. Remember that when the bounds change, the whole AnimatedULogoView will disappear since this layer is the mask that’s applied to all the sublayers. A digital frontier. Try to picture clusters of UIViews as they move through the TileGridView instance. What do they look like? Well … time to stop making references to Tron and take a look! As you can see, the TileViews are arranged so that they’re stacked together in a grid. 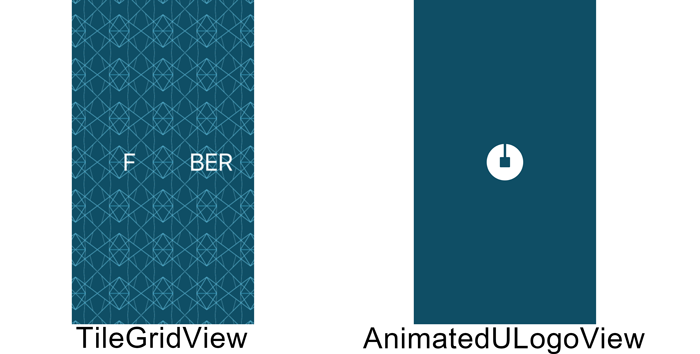 The creation of all this logic happens in a method called renderTileViews() in TileGridView.swift. Fortunately, the logic is already created on your behalf for this grid layout. All you need to do is animate it! TileGridView has a single direct child subview called containerView. It adds all the child TileViews. In addition, there is a property called tileViewRows, which is a two-dimensional array containing all the TileViews added to the container view. Coooooool … We’re getting there! scaleAnimation.keyTimes = TileView.rippleAnimationKeyTimes as [NSNumber]? positionAnimation.keyTimes = TileView.rippleAnimationKeyTimes as [NSNumber]? shouldEnableRipple is a boolean that controls when the transform and position animations are added to the animations array you just created. Its value is set to true for all the TileViews that are not on the perimeter of the TileGridView. This logic is already done for you when the TileViews are created in the renderTileViews() method of TileGridView. This is a pretty self-explanatory animation with some very specific keyTimes. This will add groupAnimation to the instance of TileView. Note that the group animation could either have one or three animations in the group, depending on the value of shouldEnableRipple. Hmm … this is definitely looking better, but the radial expansion of AnimatedULogoView should send out a shockwave-like effect to all the TileViews in the grid. That means a delay offset needs to be created based upon the distance from the center of the view to the outlining view, multiplied by a constant. This simply gets the distance from the center of the centerTileView to the center of the view passed in. This uses the distanceFromCenterViewWithView(_:) method you’ve just added to determine the delay the animation should have. Much better! This animation is starting to look respectable now, but there’s still something missing. The TileViews should physically move based on the direction and magnitude of the shockwave. The best way to do this is to whip out your high-school math (don’t cringe—it will be over before you know it) and normalize the vector based upon the distance of the TileView from the center. This calculates the vector that the TileView should move by and applies it to the rippleOffset. Very cool! And now for the cherry on top: to get that “zooming-in” feel, a scale animation needs to occur right before there is a change in the mask’s bounds. Note: Try changing the values of kRippleMagnitudeMultiplier and kRippleDelayMultiplier to see some amusing results. To finish things off, go to RootContainerViewController.swift. In viewDidLoad(), change the final line of code from showSplashViewControllerNoPing() to showSplashViewController(). Do a final build and run to check out your work. Give yourself a pat on the back … That is one cool splash screen! You can download the final Fuber project here. If you would like to learn more about animations, check out iOS Animations by Tutorials. Have an animation question? Want to post an amusing photo you’ve added to TileView’s contents? Feel free to join the forum discussion below! Derek is an iOS developer?